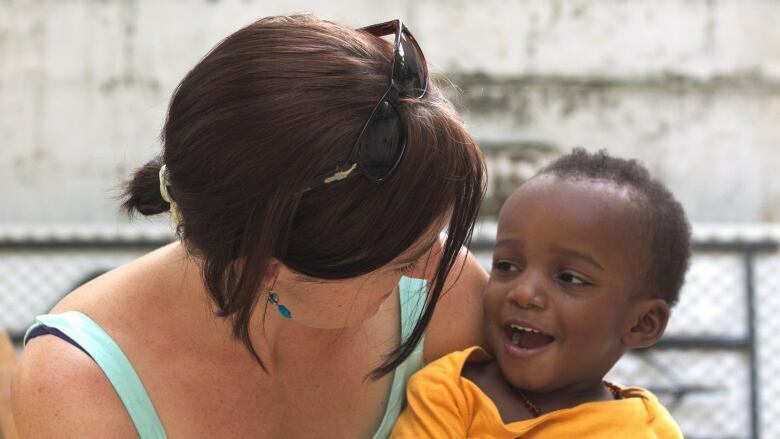 Red tape and stalled paperwork is keeping a New Brunswick woman trapped in Haiti with her five-year-old son as violent anti-government protests rock the country. 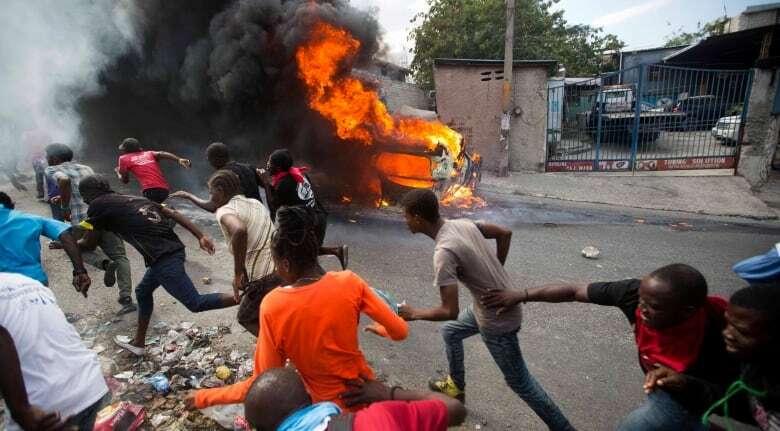 A Canadian woman and her young Haitian son are trapped in the country rocked by violent protests while her partner and daughter seek refuge in New Brunswick. 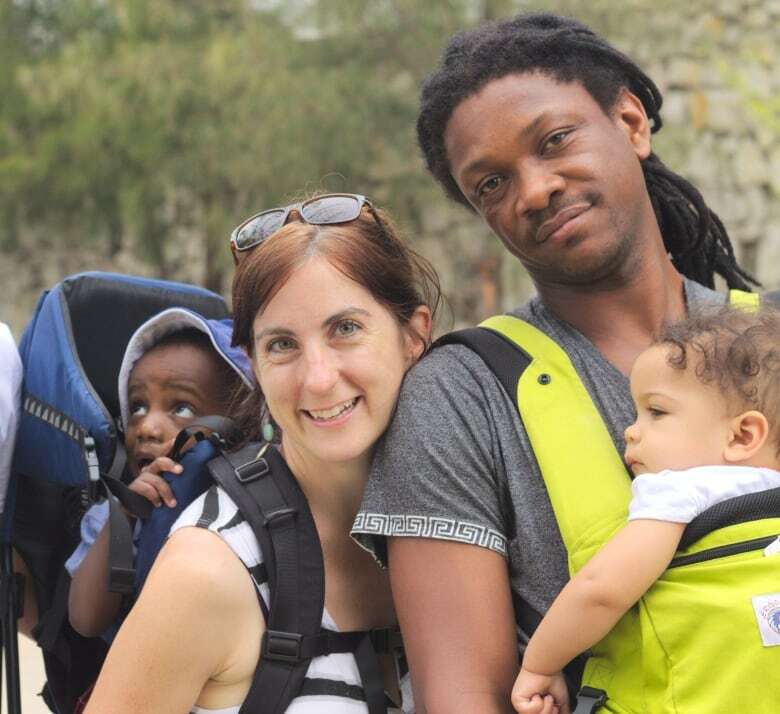 Meaghan Balzer was living in Port-au-Prince with her Haitian partner Will Calixte and their five-year-old children, Deo and Iyanu, when the violence first broke out on Feb. 7. The family tried to take the children to safety in Canada, but were unable to secure a passport for Deo, because his official adoption paperwork hasn't been finalized. "We had to make the choice to protect one of our children, even though it meant that we would be apart," Balzer told As It Happens host Carol Off. Balzer and Calixte rescued Deo from an orphanage when he was a baby and have raised him together alongside their daughter Iyanu. But only Balzer has formally applied to adopt Deo because Haitian law doesn't permit unwed couples to adopt together. She is the child's sole legal guardian. When tensions mounted and the Canadian government urged its citizens to leave Haiti, Balzer and Calixte decided to split their family up. He secured a travel visa and took their dual-citizen daughter to Saint John to stay with Balzer's mother, while Balzer stayed behind with Deo. "Fundamentally, we had to keep in mind that we were doing the right thing, and that's what we try to focus on and that's what keeps us strong," she said. "But it was the most challenging decision probably that we have had to make in our life." Haitians have taken to the streets in recent weeks, clashing with police and demanding that President Jovenel Moise resign amid rising inflation and allegations of corruption. Several people have reportedly been killed, and many more injured. "It's the first time we saw things like that, people in the street with guns," Calixte told CTV News from Saint John. At the centre of the protests is the alleged mismanagement of the PetroCaribe agreement — a deal that allowed Haiti to purchase billions of dollars worth of oil from Venezuela at a discount, with the balance owed spread over 25 years at low interest. This was meant to free up about $4 billion US for infrastructure and economic development in the struggling country — but regular Haitians say they have not reaped the benefits. The Haitian Senate alleges nearly $2 billion of the PetroCaribe windfall was either embezzled or misappropriated. 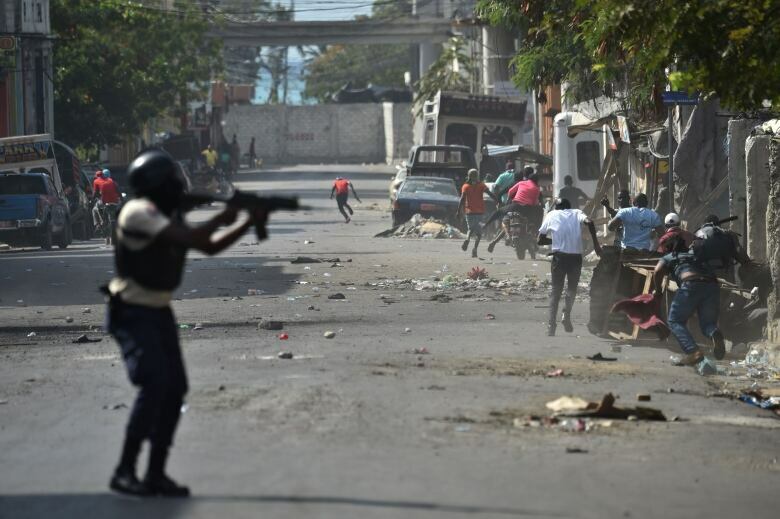 "People are frustrated for very, very legitimate reasons, I believe, and they are sacrificing, you know, their personal safety ... so that they can achieve what they believe are basic human rights and responsible leadership in Haiti," Balzer said. Balzer says she has all her paperwork in order to finalize Deo's adoption and acquire his passport, but the turmoil in the country has dramatically slowed the process to a grinding halt, with government offices shutting down intermittently. "Over the past couple of days when things have been relatively calm, they have been opening some offices part-time, Balzar said. "But, again, because many people don't feel safe moving, there aren't many staff inside of those offices." Balzer has lived in Haiti for 10 years, working for a non-profit that funds education for Haitian youth. She's reluctant to leave her chosen home, but feels she has no choice. She says she and her family may try to build a new life in Canada. "Nothing can really negotiate the safety of your children," she said. "Unfortunately, even if you love a place where you are, if your children are in danger you have to leave it." Written by Sheena Goodyear with files from CBC News. Interview with Meaghan Balzer produced by Sarah Jackson.